Every winter, we pack our rucksacks and head out to the regions where our ingredients are grown. 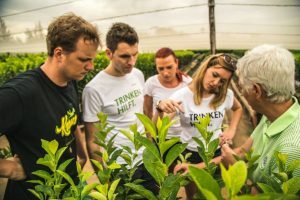 We meet the people behind our organic juices and teas, which make them so delicious, and we visit the social projects supported by Lemonaid & ChariTea Foundation. This winter, we went to South Africa. 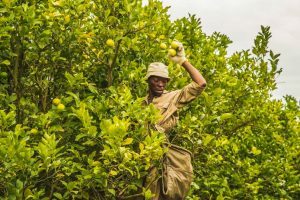 Right down in the south of this beautiful country, you can find the organic lemons which give many of our drinks their special refreshing quality. The main harvest generally starts in April, but we were lucky and experienced an earlier intermediate harvest. 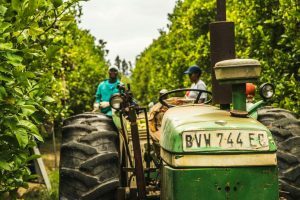 What particularly struck us was that all fruit is picked by hand and processed equally carefully. This is one reason why three more people per hectare work on an organic plantation compared to a conventional one. 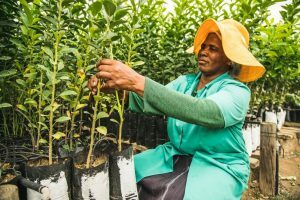 Ecological farming isn’t just a matter of environmental protection here – it’s also an important source of income for local people. 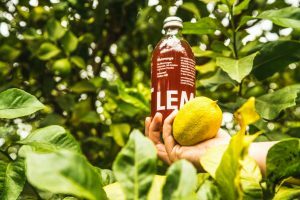 This experience will make our next Lemonaid taste even better.